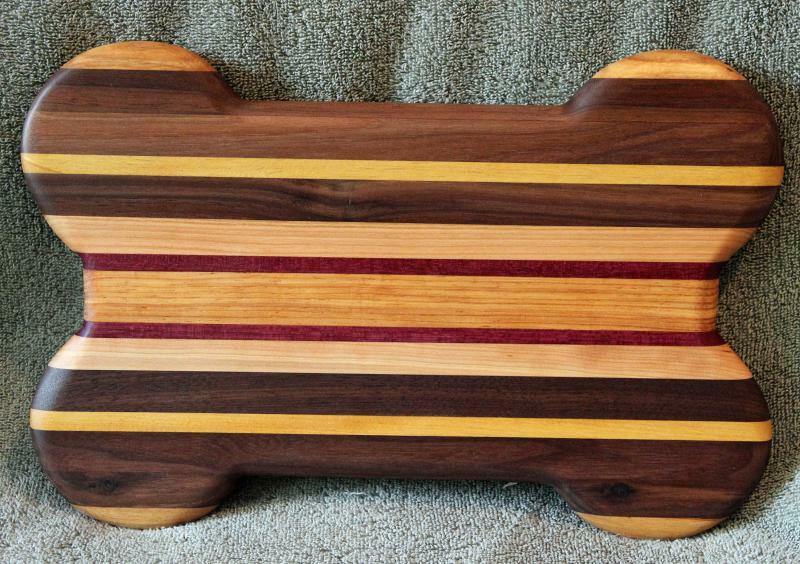 These boards are designed with pet lovers in mind. 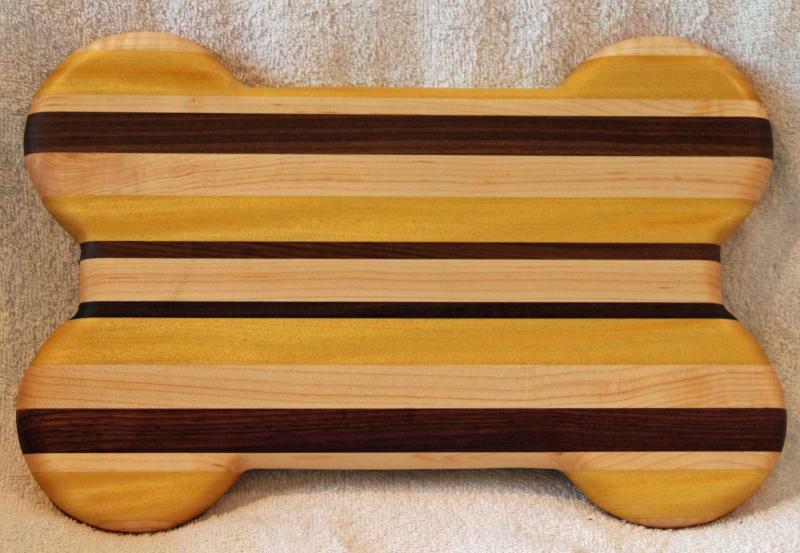 50% of the proceeds from the sale of Pet Lover Boards are donated to Animal Rescue Organizations. 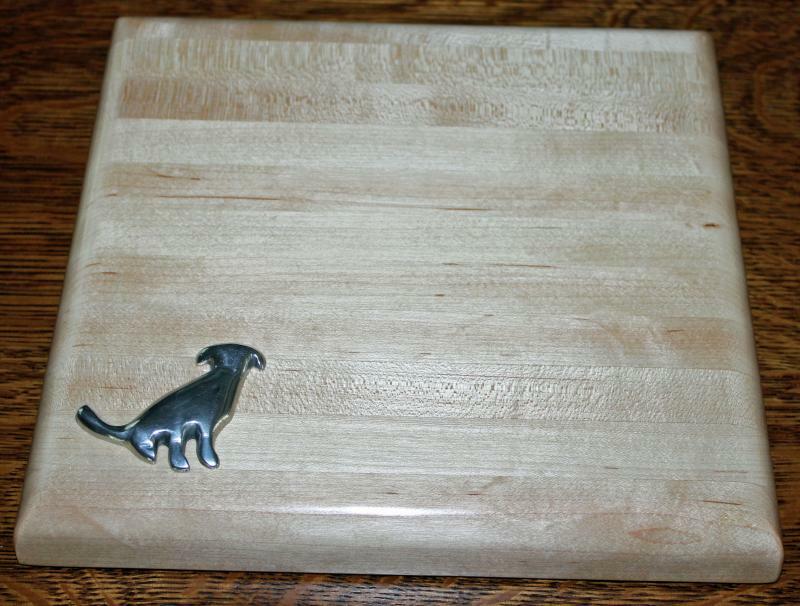 A reversible cutting board cut in the shape of a dog bone.Cut on one side and serve on the other. 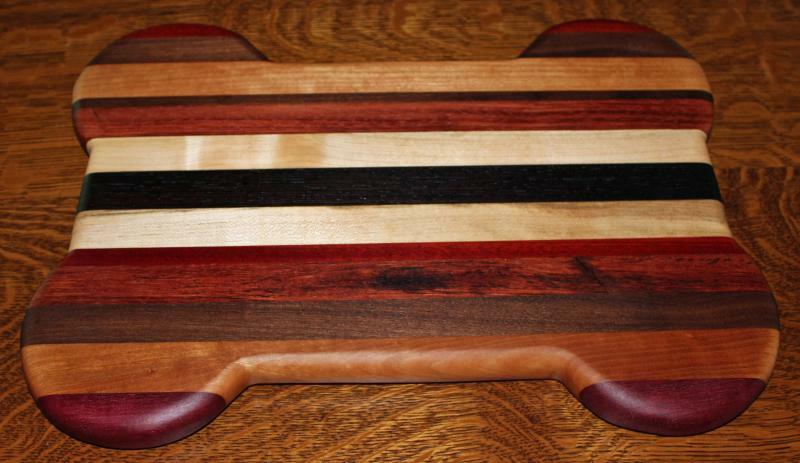 Made from a variety of exotic and American hardwoods. Approximately 11" x 16". 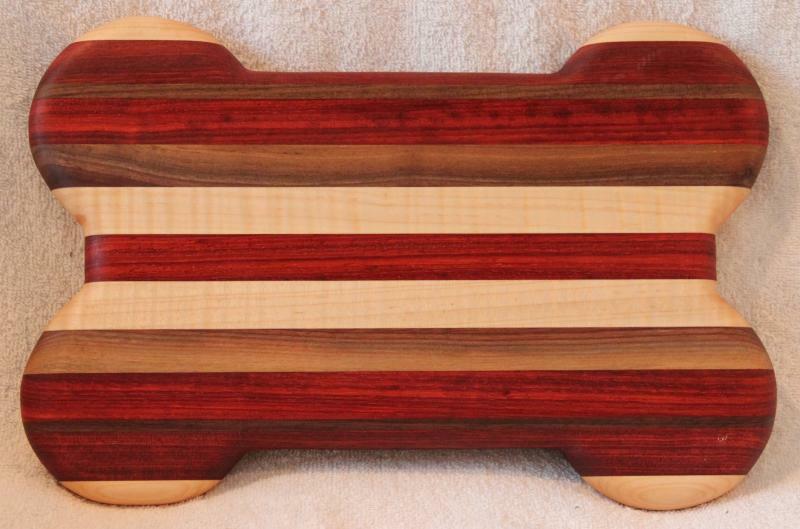 A serving board for cat or dog lovers made from maple or cherry and purpleheart or bloodwood. Approximately 10" x 16". 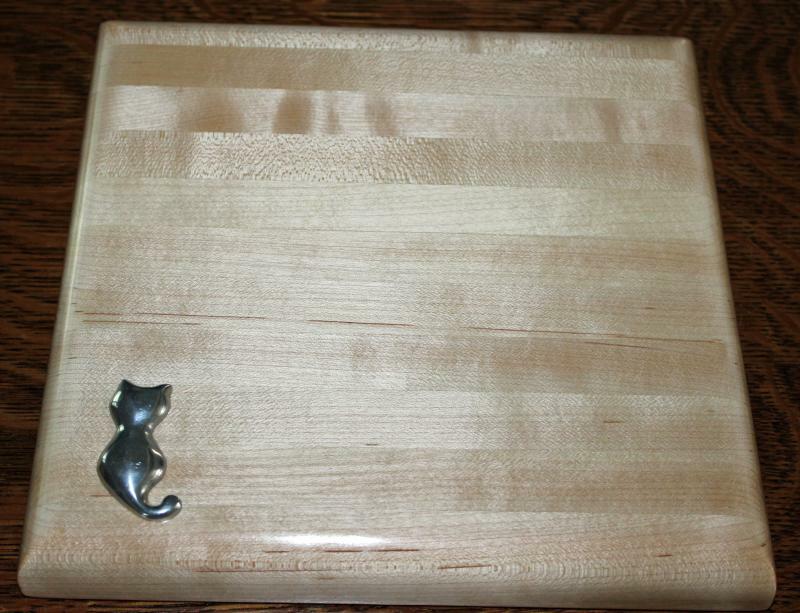 Can you imagine your cat or dog with an eye on the cheese on this small whimsical serving board. Made from maple. Approximately 10" x 10". 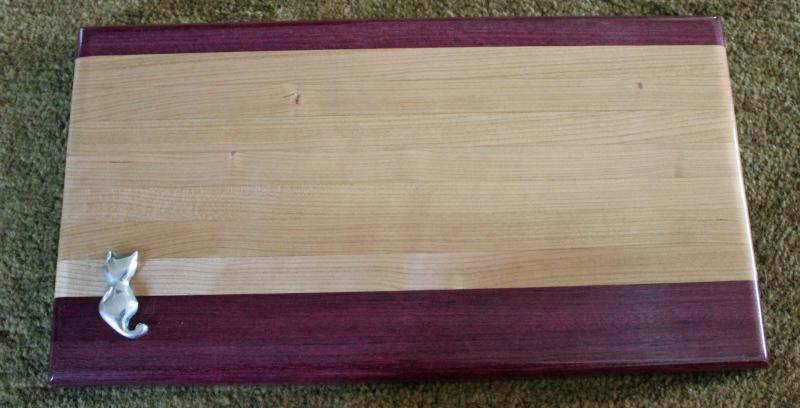 A cutting/serving board made from cherry and tiger wood with an epoxy inlay in the shape of a cocker spaniel head.